Nitin Chhoda explains the definition of malpractice and negligence and its implications for a private practice. He also shares tips to avoid malpractice and negligence lawsuits. Every healthcare practice management professionals fear the words malpractice and negligence, and rightly so. A lawsuit alleging either will cost the practice in terms of financial payouts, increased insurance costs and lost patients. A lawsuit can even lead to the closure of a clinic. To avoid malpractice and negligence lawsuits, therapists must first understand exactly what the terms malpractice and negligence mean. Malpractice results if a healthcare professional provides treatment that falls below commonly accepted standards and results in injury, death or direct damage to the patient. Failure to provide appropriate treatment is also fodder for a malpractice suit and can include mental and emotional damage. A therapist would be considered negligent if they failed to provide care that’s considered reasonable for the circumstances, or if they missed or overlooked information that led to a worsening of the client’s condition. To avoid potential malpractice and negligence lawsuits, it’s imperative that healthcare professionals take sufficient time to collect as much medical information as possible on their patients utilizing all available resources. An EMR is one tool therapists are using to protect themselves. An EMR can be accessed by multiple providers and is updated instantly for the most current information possible on all aspects of the patient’s medical history. 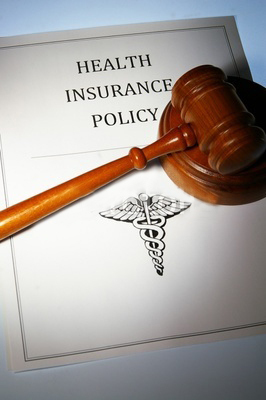 Being fully informed is the first step to avoiding malpractice and negligence suits. Therapists must be vigilant to head off potential problems before they occur. While some litigation is legitimate, clinicians must also be aware that there are unscrupulous individuals with one goal in mind – score a huge payday. There are steps therapists can take to protect themselves and their practice from a damaging malpractice and negligence lawsuit. Maintain complete and precise documentation. It can make the difference between winning and losing a malpractice suit. Double-check all available information. This is especially true if the client’s condition hasn’t been assessed or is unclear. Advise patients of all their options, risks and potential outcomes and have clients sign documentation to that effect. Always have a second party present if the client is required to display sensitive body parts for examination and ensure documentation clearly shows the assistant was present. Take extra time if needed to explain medications, why they’re being prescribed and possible side effects. Ensure patients understand the difference between the facts of their care and any opinions that may be stated. Never leave a reported problem or complaint unresolved, and always conduct follow-ups. Seek consultations or provide referrals if indicated. Don’t rush through exams. It’s imperative that therapists fully understand the client’s complaint, treatments that have been tried, and the results of that care to provide patients with the level of care needed. Cultivate a good patient-therapist relationship. Some healthcare providers never encounter the devastating effects of a malpractice and negligence suit. Those clinicians are constantly aware of the potential dangers and take appropriate precautions. There will always be patients who are willing to sue for any imagined problem and the high cost of malpractice insurance is a clear indicator of the trend. Clinicians must practice defensive therapy and take steps to avoid problems before they have a change to arise.